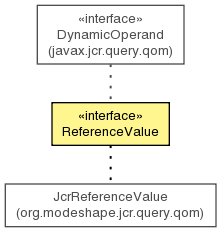 A dynamic operand that evaluates to the value(s) of a single or any reference property on a selector, used in a Comparison constraint. Get the name of the one reference property. Get the selector symbol upon which this operand applies.